This black and white majors only Marseilles deck is the second freebie that came with the tarot Rikit. 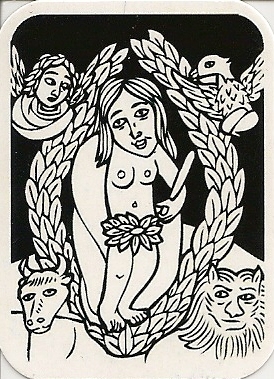 The cards have neither title nor number, but are easily recognizable. 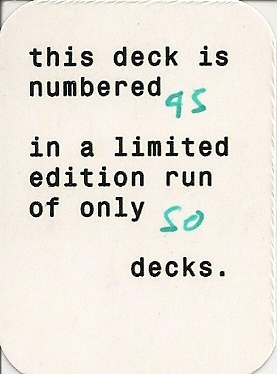 This miniature deck is a limited edition of 50, mine is number 45.